When St. Patrick's day rolls around, some local leprechauns may be looking to shake up their green beer traditions with a true Irish treasure – enter Mead. What exactly is Mead? It is a delicious honey wine that is made from fermented honey instead of grapes, along with water and yeast. Celtic nations have enjoyed it for centuries. Mead may be made in a range of styles from dry to off-dry to full on sweet, with some producers bringing fruit, herbs, and even spices into the Mead-making mix. Similar to wine, some Meads are built to age a bit and can end up with a Port or Sherry-like character. While many countries have a heritage with honey wine interlaced throughout; Ireland, in particular, has had a long-standing love affair with Mead. This famed drink, believed to have been enjoyed by Irish monks during medieval times, galloped through the social circles of everyone from Irish peasants to Irish Saints and from Noblemen to the High Kings of Ireland. Mead has also enjoyed consistent time in the limelight of both Gaelic poetry and Irish folklore and spans back historically to the Ancient Greeks, who referred to it as ambrosia. 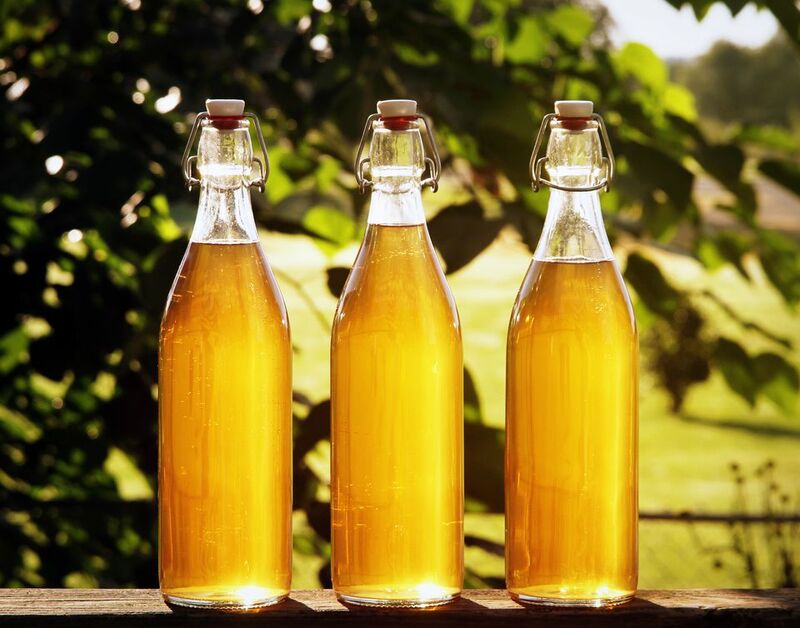 While there are many variations of Mead, traditional Mead consists of honey and water and often a bit of yeast. The fermented product, honey wine, offers flavor variations somewhat reminiscent of a Riesling, ranging from pretty sweet to quite dry. In Celtic cultures, Mead was believed to enhance virility and fertility, while also contributing supposed aphrodisiac qualities. As a result, Mead quickly found its way into Irish wedding ceremonies. The term “honeymoon” is believed to have stemmed from the Irish tradition of newlyweds drinking honey wine every day for one full moon (a month) after their weddings. Today, some Irish weddings still include a traditional Mead toast to the newlyweds as a fair tribute to times and well wishes of both old and new. Meads can be enjoyed chilled or warmed and are a perfect partnership for chicken or turkey dishes, in addition to being a terrific cap to a St. Patty’s Day meal of corned beef and cabbage or a hearty Irish stew.